Effective examination and treatment in physical therapy rely on a solid understanding of the dynamics of the joints and the functions of the surrounding muscles. 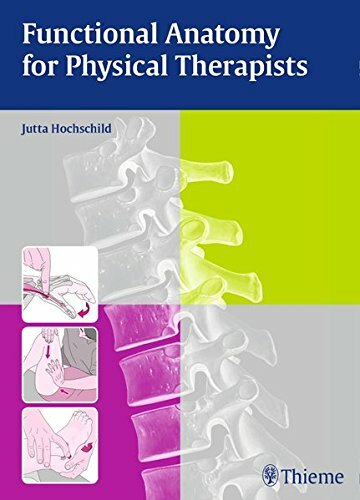 This concise instructional manual helps readers to not only memorize anatomy but also to truly comprehend the structures and functions of the whole body: the intervertebral disk, the cervical spine, the cranium, the thoracic spine, the thorax, the upper extremities, lumbar spine, pelvis and hip joint, and the lower extremities. Through precise descriptions, efficiently organized chapters, and beautiful illustrations, this book relates functional anatomy to therapy practice. It provides extensive coverage of the palpation of structures and references to pathology throughout. Physical therapists will find Functional Anatomy for Physical Therapists invaluable to their study or practice. It makes functional anatomy easier for students to learn and is ideal for use in exam preparation. Experienced therapists will benefit from practical tips and guidance for applying and refining their techniques.